Reclaim Renew also offers custom pieces for commercial spaces. 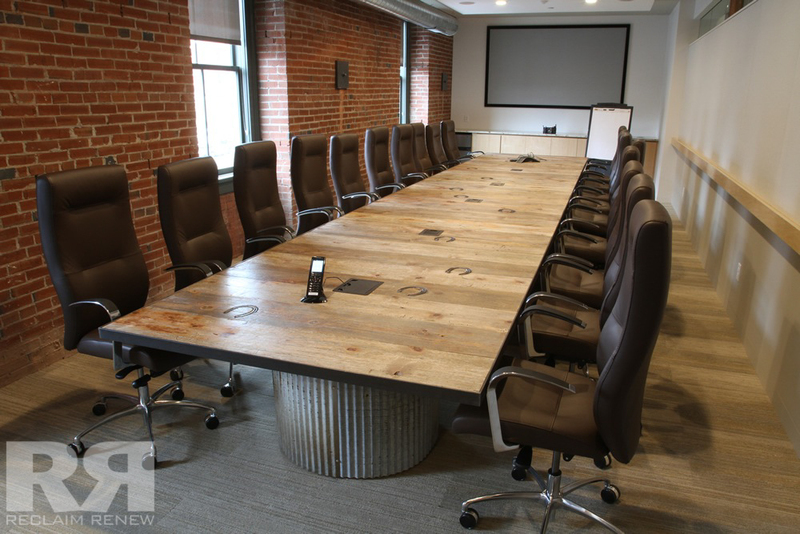 Conference tables, desks with storage capabilities, receptionist desks and filing cabinets are just a few of the items we can make for your business. Reclaim Renew also makes tables and bars for restaurants. High quality and durability are our top priorities when making these custom pieces for your space.